The Air Force plans to invest $100 million over three years to research automated cyber and signals intelligence processing, according to the service. 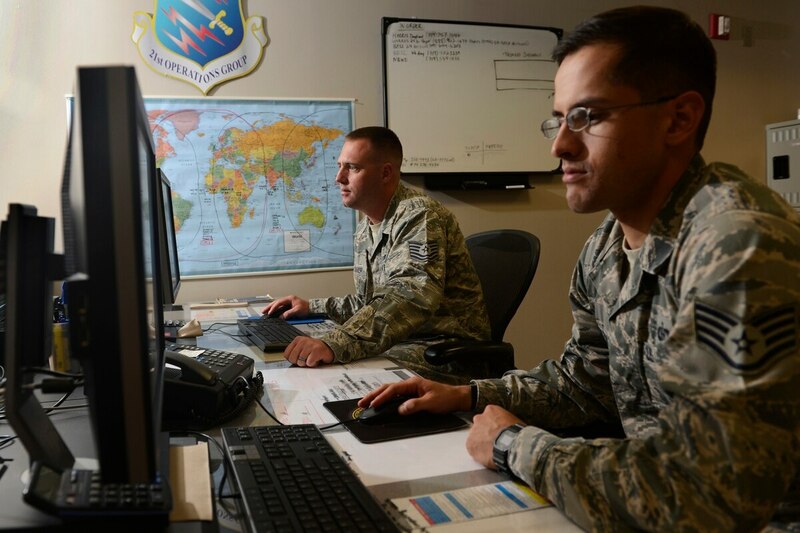 Automatically sorting through emails, phone conversations and other types of collected signals will help the Air Force because “time is critical” and the intelligence “analysts’ workload is high,” said the Dec. 4 initial announcement. The research is divided into three categories. First, the Air Force Research Lab is investing in information extraction, or identifying and cataloging information on a mass scale. Second, the research will look into signals processing, which catalogues the information. Finally, the Air Force Research Lab is looking into automation enhancements, or the ability to quickly recall information once stored. The announcement was also an effort to research new methods that can bring the Doppler effect, or the ability to manipulate radio frequency. “The goals for this component are to develop methods for the detection, identification, characterization and geolocation of emerging communications and low-radiated power level signals,” the agency said. The announcement comes as the U.S. government has embraced artificial intelligence for cybersecurity and signals collection. In September, the Defense Advanced Research Projects Agency announced that it would invest more than $2 billion in artificial intelligence programs, which included creating better algorithms, reasoning and enhancing security. Currently, there are more than 60 programs at DARPA that have an element of AI, according to the agency. That is in addition to the agency’s Artificial Intelligence Exploration program, announced in July, which provides rapid funding opportunities. The Intelligence Advanced Research Projects Activity’s Mercury Program also researches how to automatically analyze foreign signals in order to predict military and political events. When asked what investments Cyber Command is making now that they hope to pay off in the future, Capt. Ed Devinney responded “anything with AI and machine learning” during Fifth Domain’s CyberCon 2018, which was held in November. “There aren’t that many people who do AI that well,” Devinney said. “There is a growing understanding and consensus that we need to operate at machine speed, especially talking about active defense of the network."